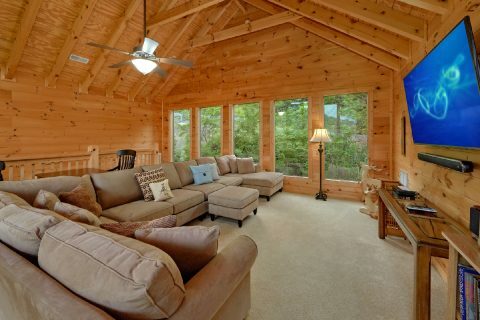 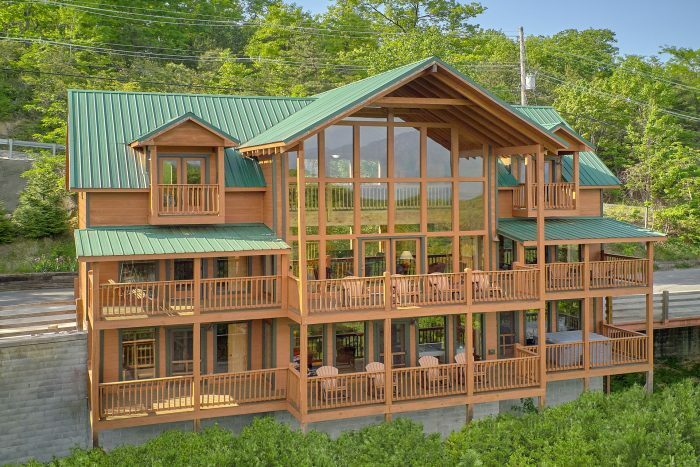 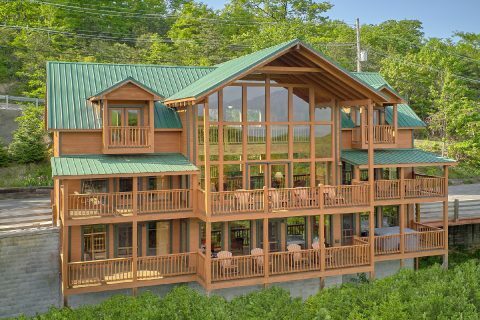 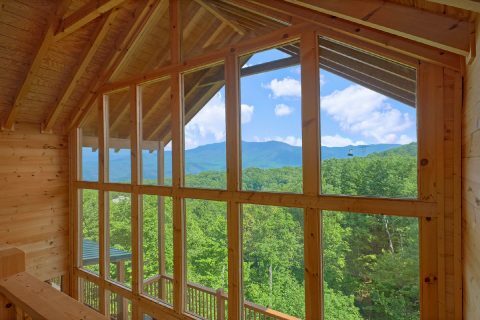 Located in the mountains near Gatlinburg, you'll find an impressive luxury cabin that's built to impress! 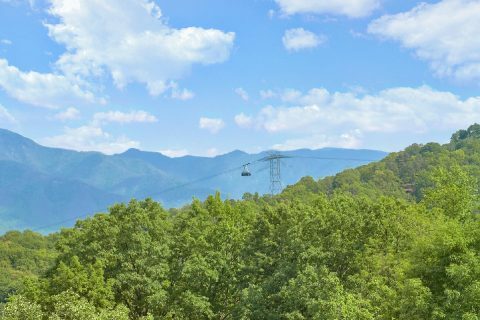 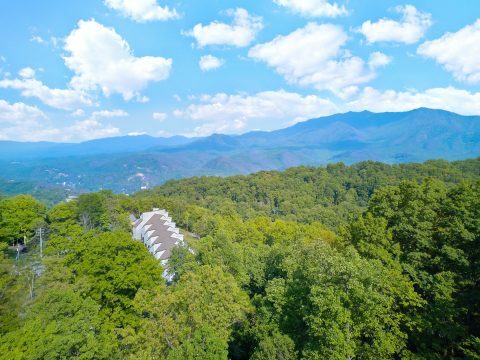 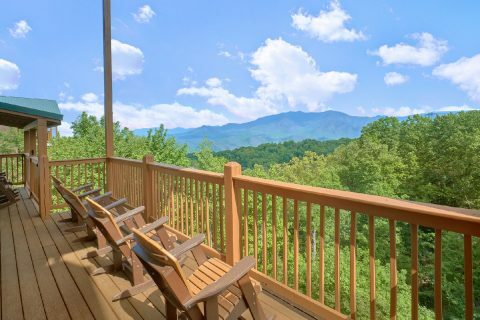 "Amazing Views To Remember" is a spacious luxury cabin rental that boasts lovely mountain views and a great location that's only minutes away from attractions in Downtown Gatlinburg like Anakeesta, Ripley's Aquarium of the Smokies, and The Gatlinburg Space Needle. 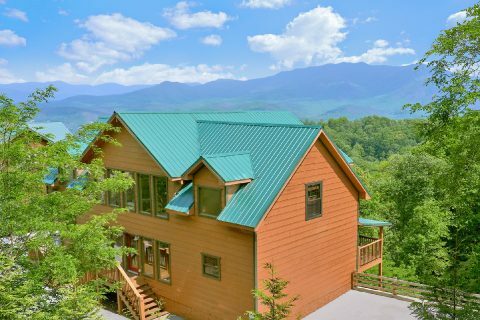 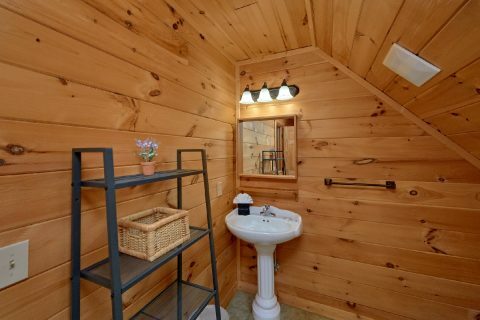 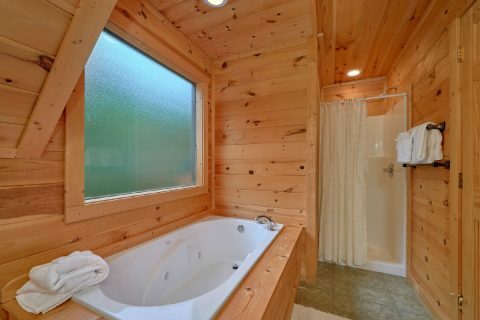 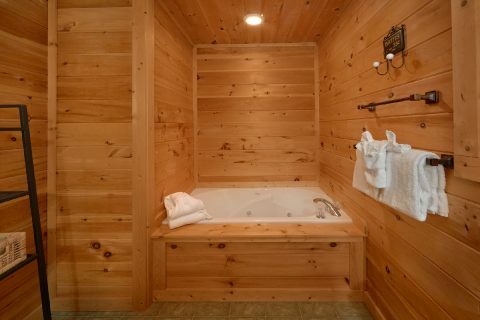 When you aren't busy enjoying the charming town of Gatlinburg or hiking in the nearby Great Smoky Mountains National Park, you'll love unwinding at this premium cabin that has everything you need to relax. 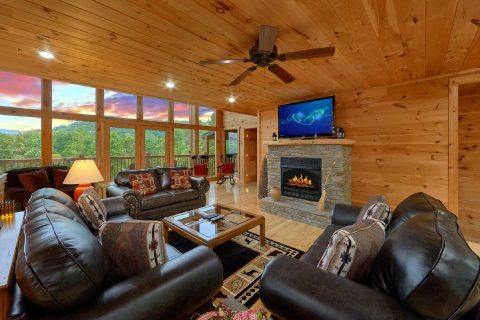 In the spacious main level living area, you can enjoy relaxing with friends and family while you sit near the warm fireplace and television. 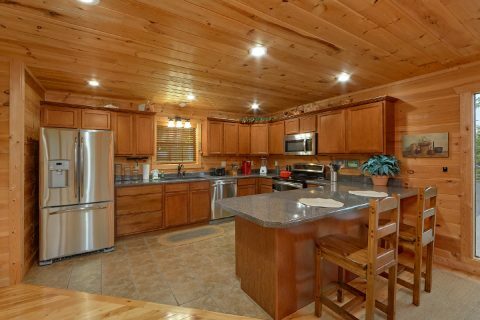 Nearby in the fully equipped kitchen and dining area, you'll find everything needed for making delicious dinners during your stay. 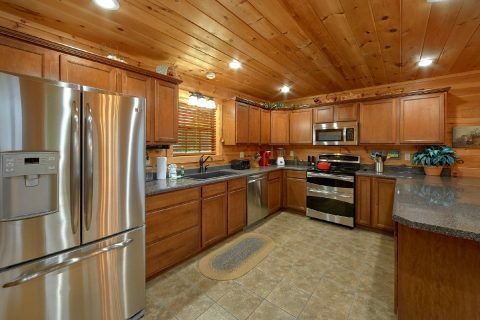 This cabin also provides an outdoor gas grill if you'd like to enjoy a cookout during your stay. 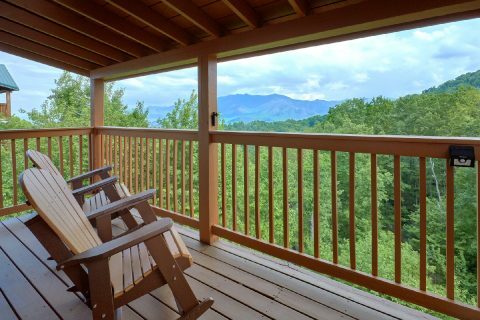 On this cabin's deck, you can always step outside to enjoy the fresh mountain air while you take in the stunning mountain view. 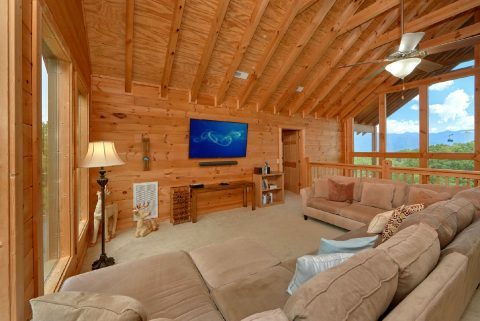 In the upper level of your cabin, you can enjoy a movie night in comfort and style in the theater room. 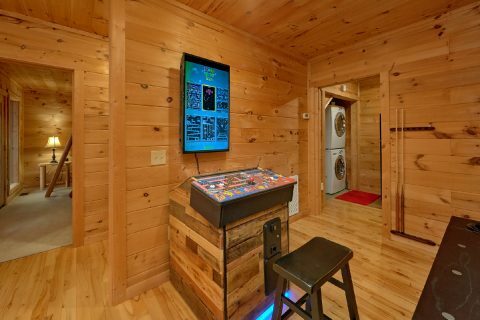 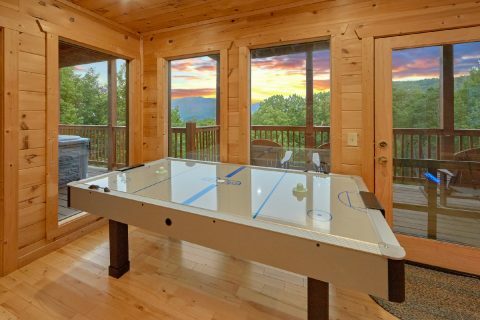 For even more in-cabin entertainment, you can head downstairs to the fully-stocked game room that boasts a pool table, air hockey game, a multi-cade arcade game, and a sit-down racing game. 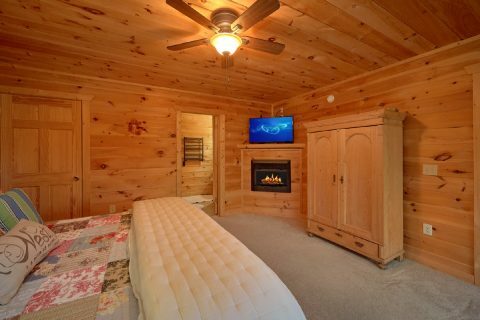 This room even provides a full-size fridge in the nearby laundry area so you can keep snacks and drinks close at hand. 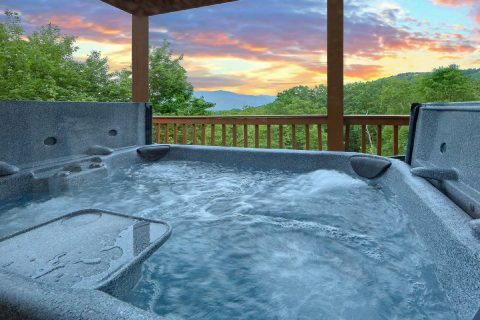 On the lower level deck, you can rest your weary bones in the warm waters of your cabin's year-round hot tub. 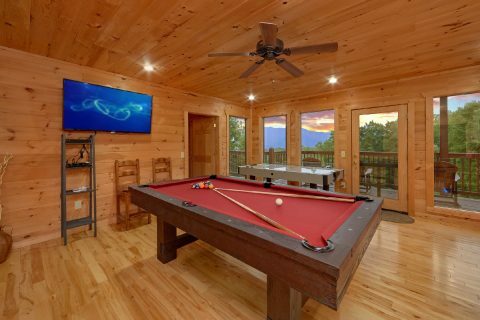 Additionally, since this cabin is located in the beautiful Chalet Village Resort area, you'll have access to a seasonal outdoor swimming pool courtesy of the resort! 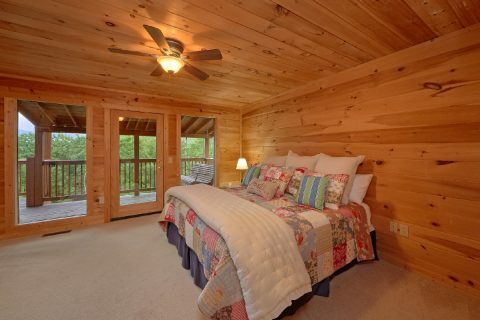 To get ready for another great day of vacation, you'll want to get a great night's rest in one of this cabin's 5 bedrooms. 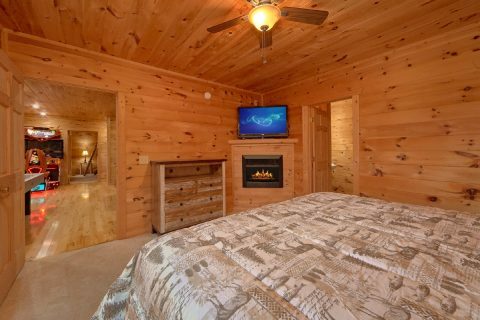 The main floor is home to a king-size bedroom with a fireplace and a private bathroom with a jacuzzi tub. 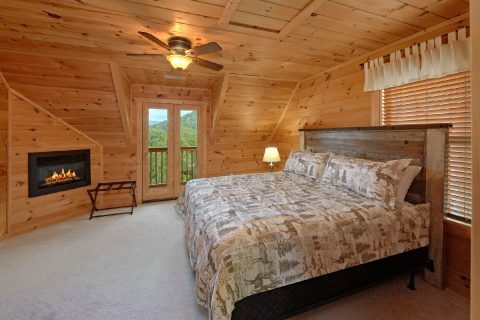 Upstairs, you'll find 2 more king bedrooms that offer access to private balconies with a mountain view. 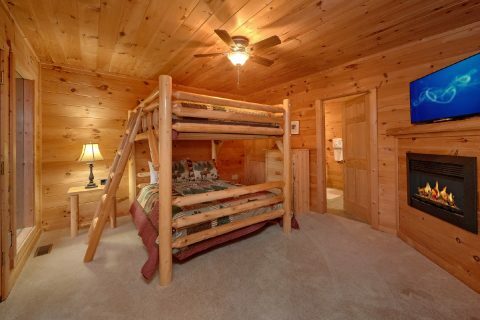 On the lower level, there is a bedroom with a queen size bunk bed and there's another king bedroom. 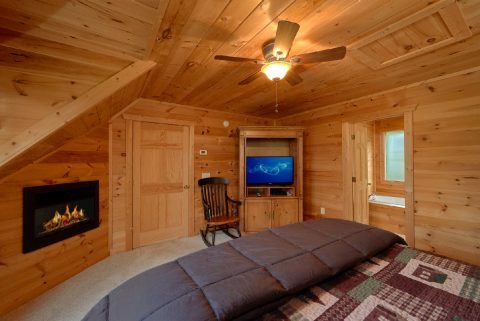 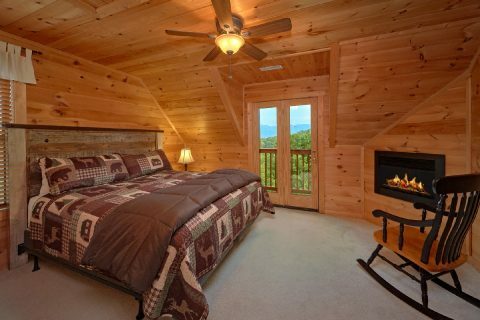 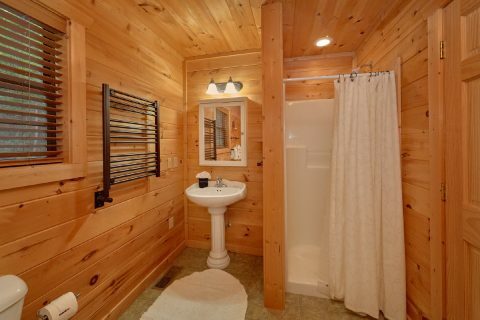 Altogether, this spacious Gatlinburg cabin can sleep up to 12 guests in comfort. 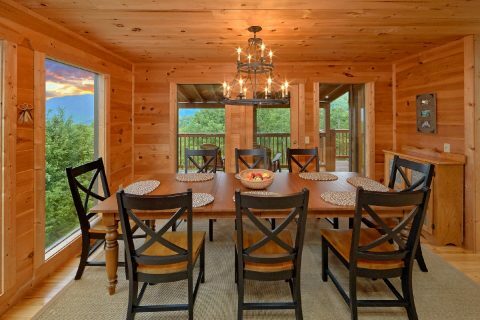 With practical features like WiFi Internet and a washer/dryer, this cabin offers everything you need for a relaxing stay in the Smokies. 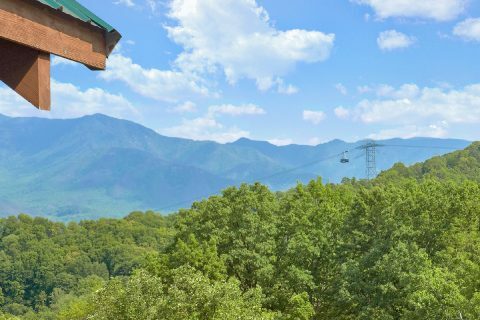 Book "Amazing Views To Remember" with Cabins USA Gatlinburg and you'll save 15% on your nightly rate in the Great Smoky Mountains of Tennessee!